Are you ready to make consistent profits in your trading? Would you like to learn the EXACT trade setups that a Master Trader is profiting from, in his own account, with his own money? Does having a clearly defined Trading Plan appeal to you? Self Paced: Go through the material as quickly or slowly as you are comfortable with. “I'm looking forward to sharing my success with you through my Master Trader Class." Wow! Your picks are amazing . . . just wanted to say "Thank you." Thanks Dean, I made money on JOY and FCX. Greatly appreciated. Hi Dean: I just wanted to send you a quick note. So far I am very happy with your service. GDX so I am doing well there also. Hi Dean, Heard on your video that you are celebrating your birthday this weekend, so Happy Birthday! I don't have a birthday present for you, but I will say that I have been following along with your trades over the past 3+ months and have been very impressed with the astuteness of your identification of market trends in different asset classes, stock selection, and disciplined low risk system with which you are using the ART software to rake in profits. You have certainly been on a roll of late and hitting on all cylinders. You have shown in real time that you can do what most people cannot do - no small feat. The only thing I wish I had done would have been to scale up my trading to my full account size rather than the small pilot program that I put on for something new. Regardless, it has been instructional, and fun, to watch a master at work. You have been blessed with a special "talent" and are making good use of it. Hello Dean, As a client of your service for only a week I am very happy to say that I may have found the right stock market service that I was searching for a long time. 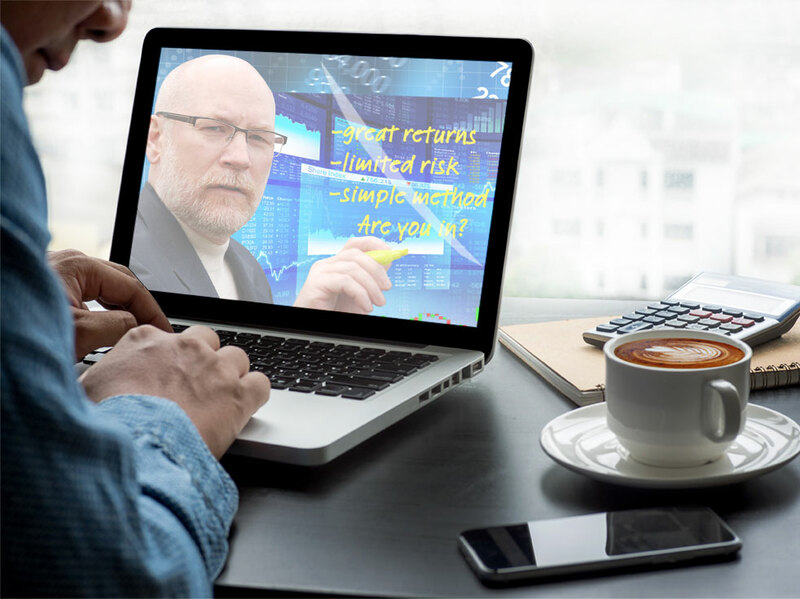 I got drawn to your website while watching a webinar in which you were a guest trading expert. You said with confidence that your analysis showed the S& P had already topped on Friday at 2,093( after a 32 point rally) and will be heading down starting Monday morning. The minimum target you gave was S & P 2,040. That was the price that the S & P actually ended at 4 pm Wednesday, Dec 9, 2015. Your trade recommendation to go short GS was a great trade. I came to it late but in a matter of 4 hours I made up 3 months of my subscription trading -the very first trade I took after signing up. Thank you for holding my hand and for being patient and generous with your teaching and advice whenever I asked for it. I am very happy to be your client and look forward to many profitable trades in the year ahead. "I have signed up with Dean's service. Dean is a terrific coach, explains the trading patterns and the underlying technicalities with great clarity by demonstrating with live charts and the trades placed, and goes beyond to ensure that his students become proficient. Dean's deep technical analysis and risk control tools will help immensely in becoming a successful trader and provides confidence in picking high probability trades." Dean, Using a virtual account for about a month and a half to enter your recommendations . . .I am impressed with your trade results and want to begin trading in a real acct. Thanks. Dean, thanks for the spreadsheet. I appreciate the work that you do and I am learning from you. You are filling in many of the holes in my style and helping me to be more technical in approach. There is no better trading site than yours, I Have spent time and money on most of them. You with your site are well worth the time and money. Dean's expert knowledge made trading a reality for me. I now trade my retirement account and have complete control of my assets, not some investment firm. I have been with you about one week and thus far am very happy. I am a jittery trader since 1) my past results have not been good and 2) I am retired and need to be sensitive to risk. That being said I took the UTX trade exactly as you described with 1 contract. I closed out 2 days ago because I was up 24% and was very happy with that result. I did not take more contracts because I am new to options and I need to establish confidence in your service. Although I am not familiar with the waves I find your communications very clear and really appreciate your comments/education using the charts. For the moment I will remain cautious and look forward to the next trade. I think I’m going to like our relationship. This is for anyone who wants to follow a Pro, learn as you go, while still making profitable trades in your account.